Paul Parker, recording clerk for Quakers in Britain, says it’s hard for Quakers to define God because the faith doesn’t tell you what to believe. Every once in awhile, Quakers in Britain revise Quaker Faith and Practice, the book that helps guide their faith. This time, though, they're taking on a big subject: God. "If you ask somebody, 'Do you believe in God?' and they answer you, what are you really learning about what that means?" says Paul Parker, recording clerk for Quakers in Britain. "What picture have they got in their mind of what God is? Is God the best word for that?" Parker says it's hard for Quakers (also known as the Religious Society of Friends) to define God because the faith doesn't tell you what to believe. 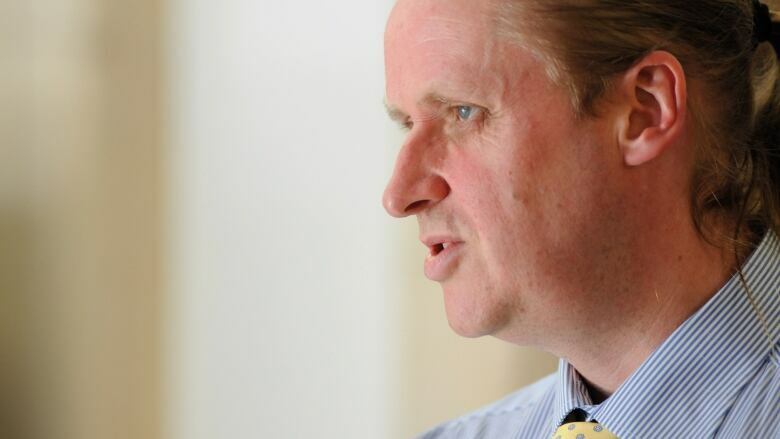 "George Fox, who was one of the founding Quakers, used to interrupt church services as a young man when he felt he was being told by a priest what he had to believe," says Parker. Quakers hold diverse views on the subject. In addition to "God," Quakers use phrases like "inner light" or "the seed within" to describe the divine. 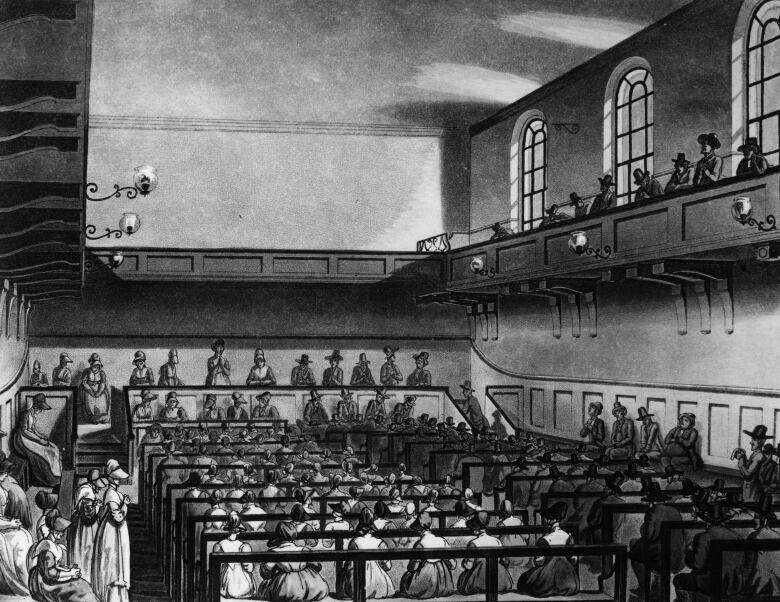 The challenge for British Quakers is to determine what contemporary Quakers mean when they use those centuries-old phrases. For a diverse tradition grounded in silence, turns out it's no easy feat. Quaker worship is rooted in silence. There's no liturgy and no minister to guide the service or deliver a sermon. 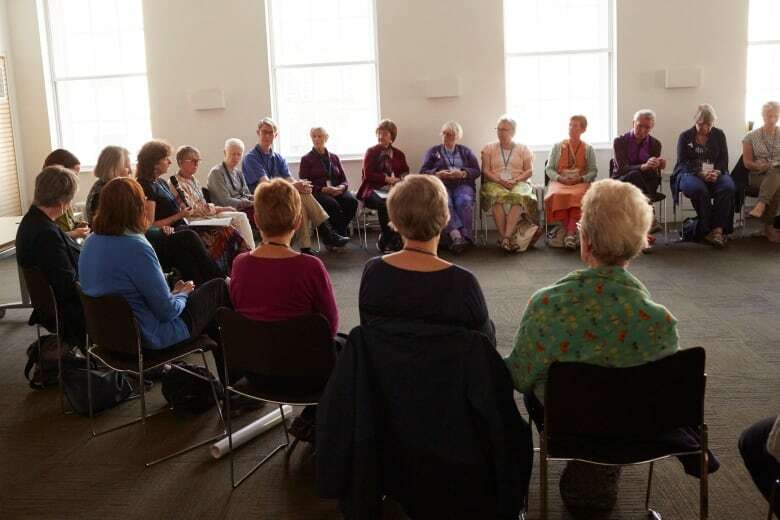 Quakers meet in small groups, sit in a circle and "sink" into an hour-long silence — or "meetings," as they're usually called. "What we find sometimes in that silence is that you connect to something very deep within," says Parker. Far from boring, Parker says the experience of a silent meeting "can be the most gripping 60 minutes of the week." "I don't think it matters what faith background you come from, or what words you choose to use, or how you articulate your beliefs as a result, that shared edge-of-your-seat experience in the silence is what binds us." Although silence is important, Parker says language is, too. "If you've got nothing to say about yourself, I think that's difficult both for people who want to know more about us but also for ourselves to know, where are we now?" Today, the Quaker community includes people who identify as Buddhist Quaker, Muslim Quaker, Jewish Quaker — even Atheist Quaker. Their views on the divine differ, just as Parker says his have since becoming a Quaker. Parker started attending meetings as a young teenager. He says he found Quakerism refreshing because Quakers asked him what he believed, while other Christian traditions told him what they believed. "I didn't know what I believed, so I said that. And the person who'd asked me said, 'that's fine.' And I said, 'And what do you believe?' And they didn't know either," says Parker. "Here was a faith community who were comfortable with uncertainty and with doubt." Parker says he wasn't always comfortable with the word God, but he is now. And when it comes to defining what he means by "God," Parker says it's all about the experience. "If I can reach down inside myself in the silence of the Quaker meeting, I connect with some kind of powerful moral sense," says Parker. Parker says he consider God a convenient word to capture what is so difficult to define. 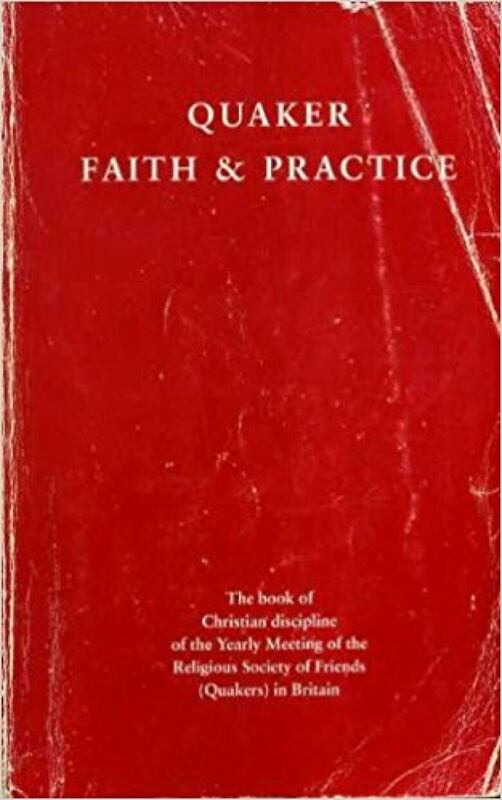 British Quakers will take years to decide what should appear in their revised book of Faith and Practice. Revising the last edition, for instance, took almost 10 years. In the meantime, Parker says the centuries-old tradition has a lot of wisdom for how to live in our current era. "If you look at when Quakerism started in the mid 17th century in England ... in the time of the English Civil War ... there was a sense of great turbulence in society," says Parker. "The Quakers said not 'let's go out and fight' but let's sit quietly and listen for divine guidance. And if you look at our current times, with great turbulence, with great global injustice — my God, the world needs Quakers."